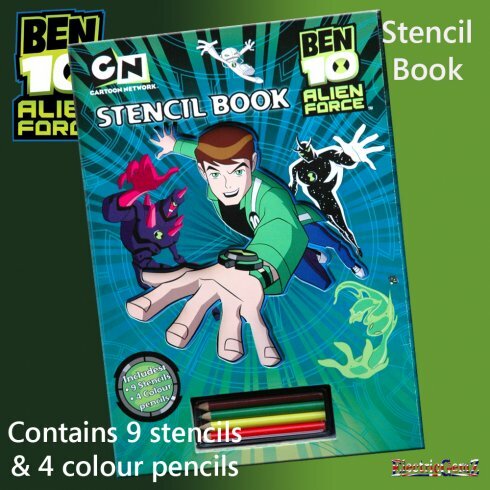 Is your young Ben 10 fan ready to move on from ordinary colouring books to something a little more creative? This well-made A4 book has a velco-sealed cover. Inside are 9 sturdy stencil pages, each representing a well-known Ben 10 character, including Swampfire, Big Chill, Jet Ray, Alien X and others. Four coloured pencils are also included together with instructions on how to use the stencils. This is an excellent, quality product.